The four-year term of Israel Defense Forces (IDF) Chief of Staff Lt. Gen. Benny Gantz officially ended Monday, with Gantz handing command of the military over to his deputy, Maj. Gen. Gadi Eizenkot, during a ceremony at Rabin Base in Tel Aviv. While serving as Gantz’s deputy, Eizenkot was part of major decisions on military reforms. He assumes command of the IDF during a time marked by tension in all sectors: the potential for further escalations in Gaza, concern over the growing unrest among Palestinians in Judea and Samaria, the volatile situation on Israel’s borders with Syria and Lebanon, and the erosion of Israel’s deterrence against the Hezbollah terrorist group. Gantz spent much of Sunday, his final day as chief of staff, with the Paratroopers Brigade, where he began his military career. His term in office saw significant geopolitical changes take place in the Middle East. Gantz commanded the IDF during 2012’s Operation Pillar of Defense and 2014’s Operation Protective Edge in Gaza, and while neither campaign was considered a resounding success by the Israeli public, the IDF insists that both gave Israel the upper hand over the Hamas terrorist group. Faced with regional changes and cuts in defense spending, Gantz promoted extensive reforms in the IDF that were meant to streamline the military’s operations. 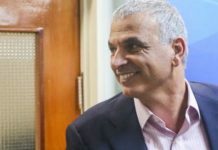 His critics, claimed that his reluctance to confront the Israeli government over defense spending prevented the approval of a constructive multi-year work plan, and some believe that situation impeded the military’s ability to make better use of its resources. Eizenkot, 54, rose through the ranks in the Infantry Corps, beginning his military service in the Golani Brigade and rising to command it from 1997-98. 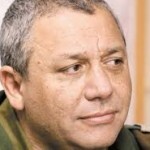 In 1999, Eizenkot was named military secretary to the prime minister and defense minister, a role that was followed by his appointment to head the IDF’s Judea and Samaria Brigade. In 2005, he was named head of the IDF’s Operations Directorate, and in late 2006 he became GOC Northern Command. In January 2013, he was named Gantz’s deputy. Eizenkot holds a bachelor’s degree in history from Tel Aviv University and a master’s degree in political science from the University of Haifa. He also attended the United States Army War College as part of his master’s degree program. Throughout his career, Eizenkot has built a reputation as a humble officer and a natural leader who never hesitates to speak his mind, even when his views are in stark contrast to those held by his superiors. 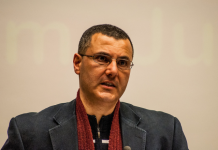 In 2011, when Eizenkot was head of the Operations Directorate, he vehemently opposed an Israeli strike against Iran’s nuclear facilities, warning that such a move might result in a large-scale war with Iran and Hezbollah and jeopardize Israel’s relations with the U.S. Defying then-IDF Chief of Staff Gabi Ashkenazi, who warned him that voicing such opinions might impede his promotion through the military’s ranks, Eizenkot still sent a letter expressing his concerns to Netanyahu.